Of the 52,210 female killings since 1985, nearly a third took place in the past six years. MEXICO CITY — The number of women being murdered in Mexico has risen sharply over the last decade amid the country’s drug war, more than wiping out two decades of gains when the rate fell by half, a study said Wednesday. The report from Mexico’s Interior Department, the country’s National Women’s Institute and the UN Women agency said the annual femicide rate was 3.8 per 100,000 women in 1985 before it began a steady decline to 1.9 in 2007. From there it rose sharply to peak at 4.6 per 100,000 in 2012, tapering off somewhat in the following years and then rising again last year to 4.4. Of 52,210 killings of women recorded over the 32-year period, nearly a third took place in the last six years, the report said. The rise in such killings coincided with Mexico’s militarized offensive against drug cartels launched in late 2006 by then-President Felipe Calderon. It also roughly tracks overall homicide trends during the period. 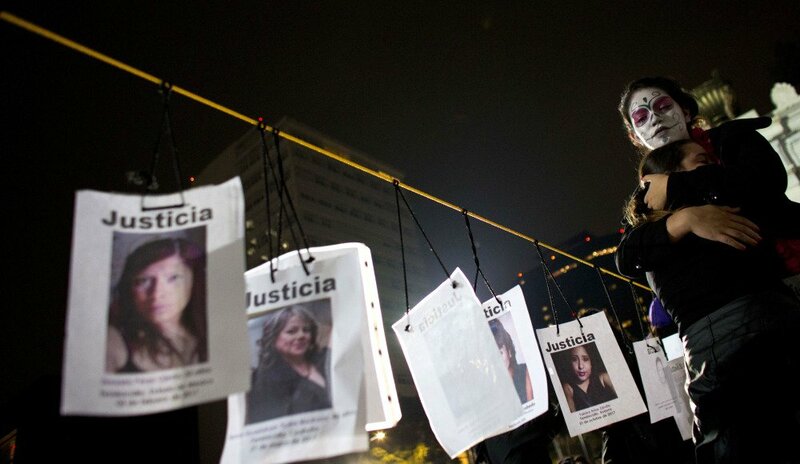 About 12 percent of homicide victims in Mexico were women last year, compared with about 10 percent in 1985. That was down slightly from the early and mid-2000s. The tiny state of Colima registered the country’s highest femicide rate in 2016, with 16.3 per 100,000. It was followed by the states of Guerrero, Zacatecas, Chihuahua and Morelos. Most of those are states with a heavy presence of organized crime gangs. Guerrero, in particular, is a hot spot of cartel violence. The Pacific coast resort city of Acapulco in Guerrero registered more killings of women last year than any other municipality, with 107.